This is the first line in Charles Dickens famous novel A Tale of Two Cities. It is probably the most famous opening lines in all of English literature. That was my opening slide last month as I spoke to almost 400 HR professionals in Karachi, Pakistan at the Employers’ Federation of Pakistan. This one-day event brought together senior HR Leaders, C-suite and government officials for an HR immersion session. This yearly event is one of the most attended session of its kind in Pakistan. My opening keynote was titled “The Future of HR.” That was a reference to where we are in this profession and where we are headed. It is the best of times if we understand that our entire model of HR has to change, and we are onboard this learning journey. It is the worst of times if we are anchored in process execution, quoting policy and procedures, and not aligned with the organizational goals or strategies. All three have serious workforce implications. I often ask in my strategic HR sessions, “What are the major challenges facing your industry and what are the workforce implications?” The responses vary, but only a very small minority can provide some semblance of a realistic answer. As I tell them, knowing your business and how you will address the implications is critical. You can’t do your role strategically if you do not understand the business environment. The future of the enterprise deals with how we are driving our organization from a talent strategy into this changing environment. Are we driving innovation and agility through strategic workforce development? What are the disruptors in our industry? How is our talent strategy in sync with the environment of our business? The future of the workplace requires analyzing the talent and creating an optimized workforce in a shifting environment. It means considering nontraditional talent, and creating a workforce experience modeled with the customer experience and building high team performance. 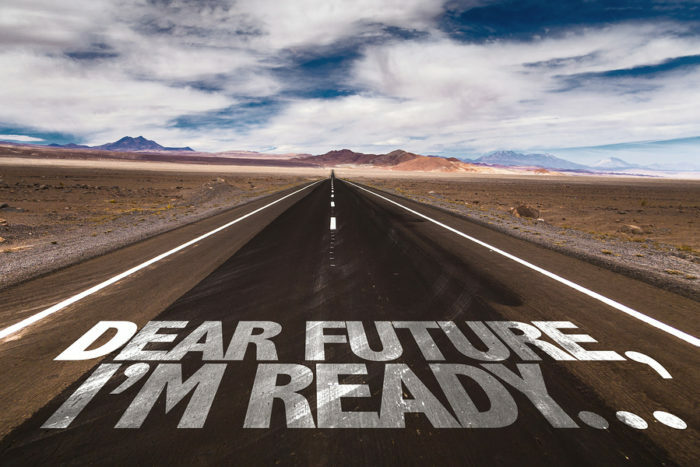 This is our HR future and while some of your work may be in the tactical and administrative space, it is no excuse to ignore thinking how to develop the future of our workplace. The future of how work gets done must be a part of your strategic thinking. Whether through digitalization and automation, workforce flexibility or – or maybe, and — a totally new HR operating model that is agile and fluid, there is no one size fits all. Yes it is coming full force, but have we given some analysis as to what is happening in our space and industry? The learning journey must begin with a passion. Are you in? That means staking out your specialty, whether it be Analytics, Organizational Consulting, Change Management and / or Strategic Workforce Planning. The passion portion means reading any and everything in your chosen space. It means constant learning extended through the model I call “Monday morning experience.” By that I mean, How do you take the learning into the everyday workplace? How do you link HR so it creates a value chain that connects to business outcome? Basically, what we are talking about is learning a new skillset for Human Resources. The SHRM Competency Model is broken down into 9 slices and only ONE is specific HR knowledge. If you did not know the profession, you might assume that this model could fall under any number of other categories: Organizational Consulting, OD experts, etc. Our profession has changed. That means new skills are needed. We can’t sit idly by and continue down the same path. With AI, automation and all the other forces that are upon us, if we do not reskill we will be replaced. My thought is that if it is process driven it can be automated. Good business is about more than just business. There, on a global stage, world business and government leaders held discussions around our HR space, talking of the implications for our workforces and workplaces. It is the Best of Times. Our moment has arrived and we can use this as a launch pad to propel ourselves into another zone. It is the Worst of Times if we do not see the importance of our role. Choose your path wisely because your livelihood depends on it.